Cloe Kilwein is an associate attorney in the firm’s litigation group. 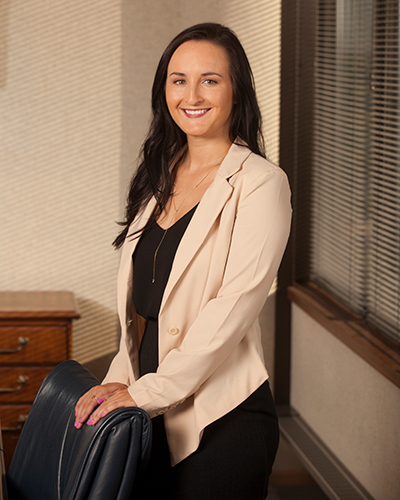 During Cloe’s three years of law school, she worked as a law clerk at a firm in Grand Forks. In her time as a law clerk, she had the opportunity to work on a variety of complex legal matters. Cloe was also involved in moot court and the Phi Delta Phi Legal Honor Society during law school. Cloe was born and raised in Hettinger, North Dakota. She enjoys spending time with friends and family, staying active, and traveling to new places.